Across the four days of the event, the Toyota Yaris WRC was the dominant car, claiming fastest times on 18 of the 23 gravel stages. Estonian Tänak and co-driver Martin Järveoja led almost throughout, engaging in a close fight with the Citroën of Mads Osterberg on Friday. In spite of an unfavourable road position, he took control as the day unfolded, stretching his advantage over the Norwegian to 5.8 seconds by the close. Latvala was running third and Esapekka Lappi eighth after losing time with a stall on the opening stage of the day. 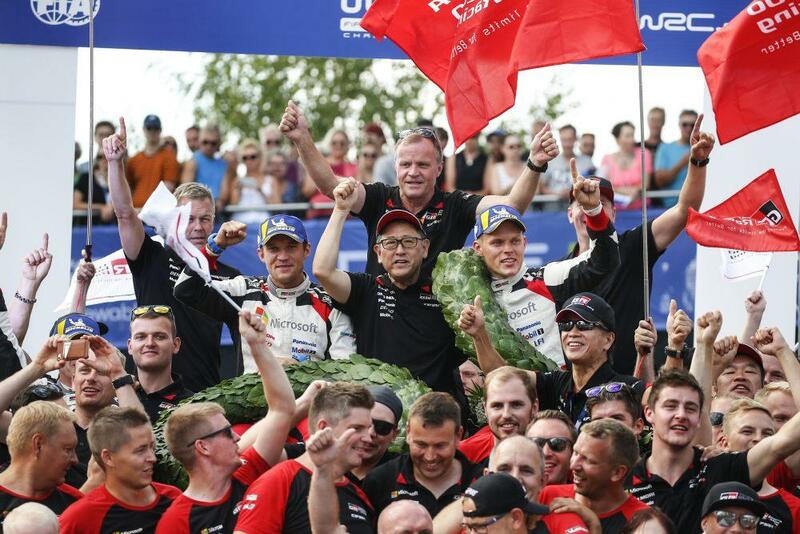 Saturday proved exceptional with all three Toyota drivers featured in a clean-sweep of stage wins, including a top-three lock-out of three consecutive stages in the afternoon. Tänak and Latvala consolidated their positions, while Lappi leapt four places up the leaderboard to fourth. Lappi crashed out of contention on Sunday’s opening stage, but Latvala remained on the pace with two further stage wins. Tänak’s victory in the final Power Stage added five bonus points to his tally. The result moves the Toyota Gazoo Racing World Rally Team to within one point of second place in the manufacturers’ championship, while Tänak has narrowed the gap to the top two in the drivers’ standings. Round nine of the WRC season will be Rallye Deutschland (Germany) on August 16 to 19. The event is in effect three asphalt rallies in one, divided between twisting roads through the Mosel vineyards, the notoriously tough Baumholder military area and the fast country lanes of the Saarland.